World’s first notebook power bank to charge the widest range of USB-C laptops, as well as mobile devices. 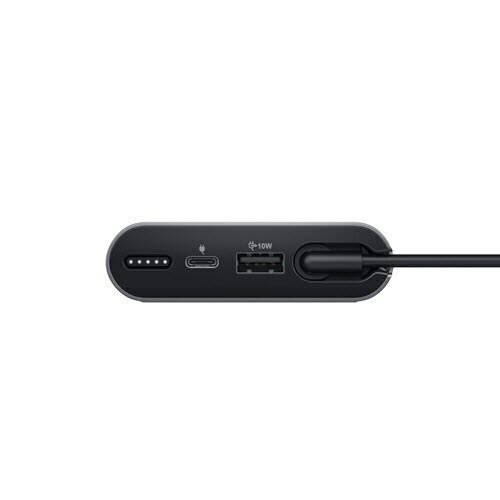 When you need power on the go, the Dell Notebook Power Bank Plus - USB-C, 65Wh, can charge the widest range of laptopsi and devices with a high 65W power delivery. Whether you need to charge devices with voltage profiles of 5V, 9V, 15V or 20V, the Power Bank Plus has you covered. 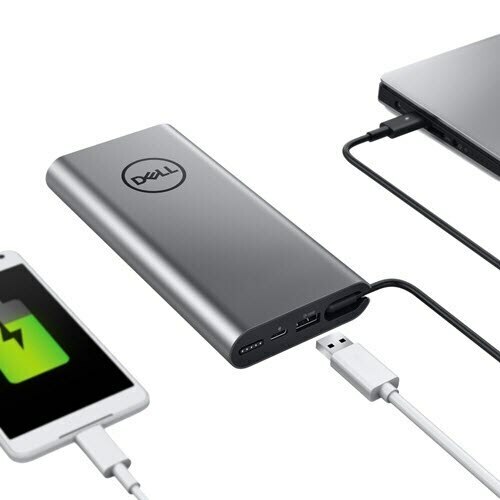 The large, 65Wh, 6-cell power capacity keeps your laptop and mobile devices up and running longer and charges laptops requiring up to 65W of power delivery - for uninterrupted productivity while you’re out and about. Get an additional run time of up to 16 hoursii on your Dell XPS 9370.